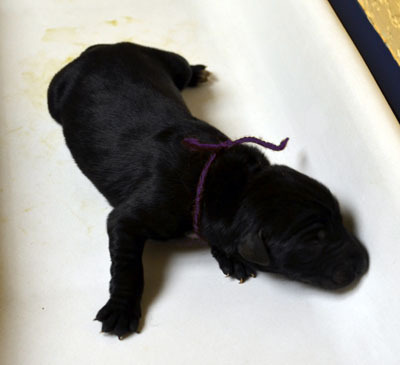 Torrey Ann is one of Merlot's 7 pups, born on June 26, 2013. She is a black girl. They were found in an abandoned dog house in Ft. Worth by FWACC, and GALT was called in immediately to take custody of this precious family, our seventh. 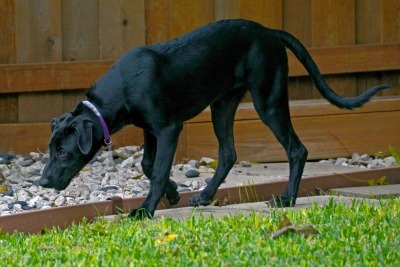 Merlot appears to be a saluki/greyhound mix; the father's lineage is unknown, but DNA testing is being done. Merlot, being quite ill, had to be separated from the puppies, and they were put in foster care to be bottle fed. They are now eating solid food and thriving! 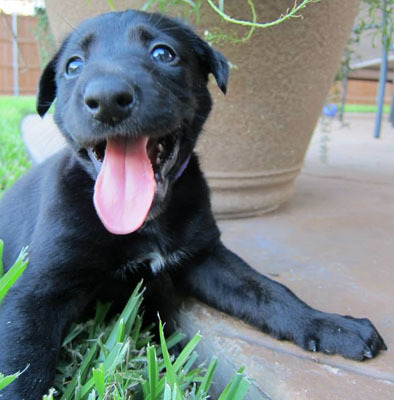 Torrey Ann has finished her medical procedures and is ready for her forever home! 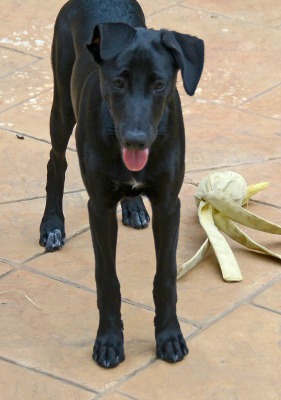 Torrey Ann's DNA results are back - momma Merlot is a greyhound/saluki mix and her daddy was a German Shepherd mix. She should not live with cats. 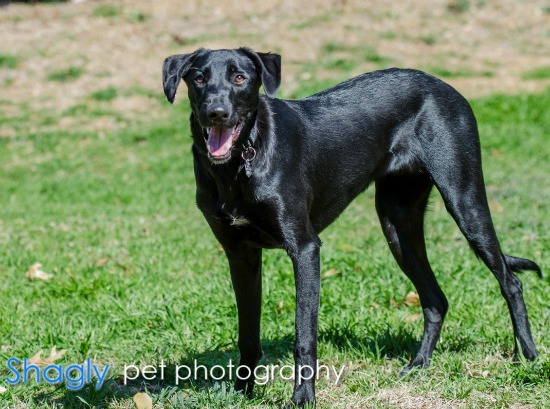 Torrey Ann is now 7 months old and has been my foster for many of those months. 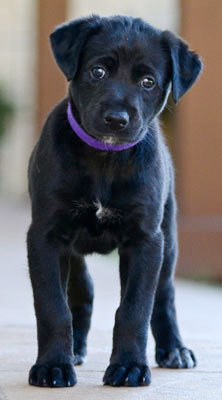 She has a beautiful shinny black coat with a tiny bit of white on her chest and hind toes. She loves to play with all dogs and can be trusted with very small dogs as well, but not cats. She is about 23" tall at her shoulders and weighs about 48 pounds. I do not think she will be a large girl, but may grow a little taller over the next few months. She loves to run and chase things, but is not consistently good about bringing balls and toys back to you. She has a high energy level and then crashes like a normal puppy. She loves walks and observes everything around her. She eats her meals (two a day) in her crate like a lady and will go into her crate if you ask her to. She will sleep in her crate at night or stays in my bedroom loose. I work so during the day she is crated and does just fine. 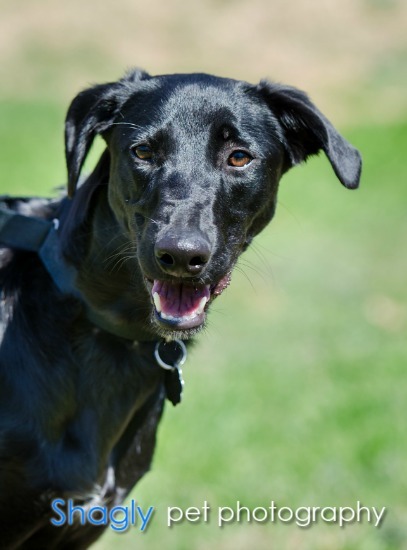 She is very loving and would love a home of her own. So far she has never been an only dog, but I'm sure she would adjust to that. She likes to be around people and is very affectionate. Torrey is smart and learns quickly - especially if food is involved. I would certainly call her a happy girl! !